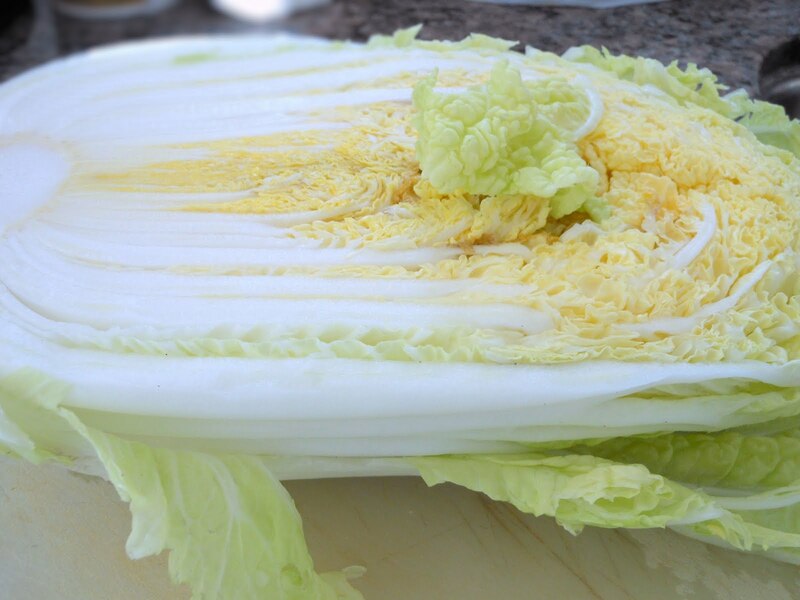 As you may know, Chinese cabbage is a firm-headed vegetable and the leaves are tightly wrapped. It can easily be found in many supermarkets. When you go to a Northern Chinese restaurant, you may find a dish called ‘Chinese Cabbage in cream sauce’ on their menus. Ham is mostly added to the cream sauce. For me, I like to use shredded prosciutto instead of ham. The saltiness of the prosciutto truly brings out the sweetness of the Chinese cabbage. The cream sauce also adds a rich flavour to the whole dish. I don't chop up the cabbage, but only cut it in half or in quarters lengthwise before I boil it. Put the Chinese cabbage in a large pot of boiling water. Add salt, oil and cook for 3 minutes over medium heat until tender. Remove the Chinese cabbage from the water. Drain it as much as possible before putting it on a serving plate. Trim off the tip of the head so that the leaves become detached. Cut the leaves into a few parts. Set aside. Melt butter in a sauce pan over low heat. Add mushrooms and sauté until tender. Add flour and stir slightly. Then add cream and chicken broth and stir until thickened. Add salt and pepper to taste. Remove from heat. 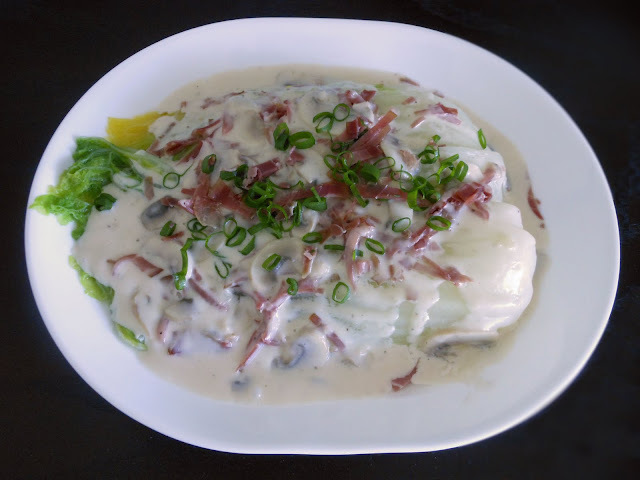 Add prosciutto to the cream sauce and pour it over the cooked cabbage. Sprinkle green onion on top and serve immediately.